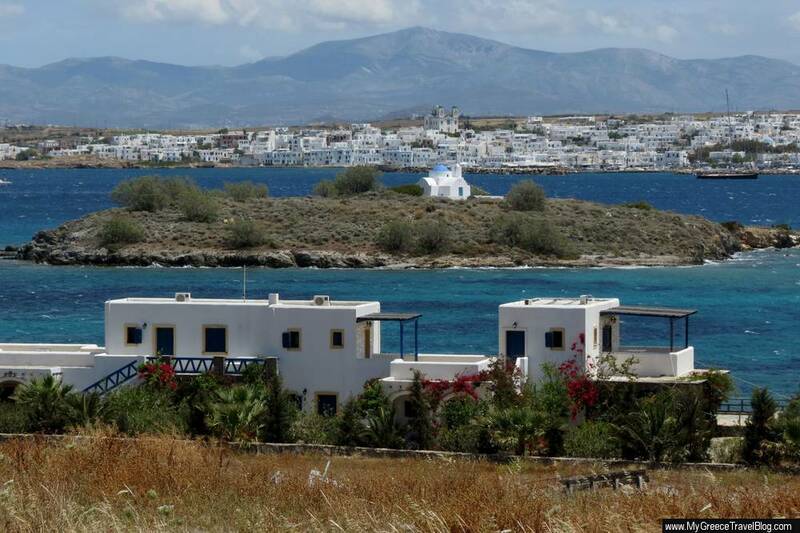 Looking toward the town of Naoussa from a hillside near Kolimbithres beach on Paros. 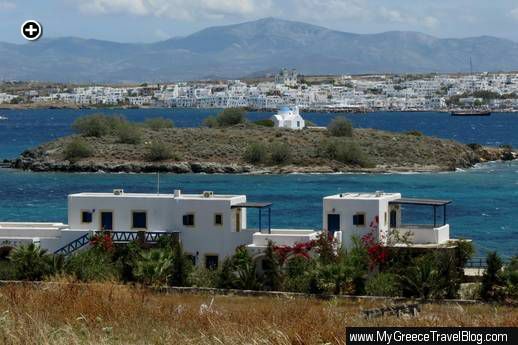 Agia Kali island, with its blue-domed church of the same name, takes center stage, while mountains on Naxos island provide a backdrop to the scene. Spring scenes: Now that we’ve been on Daylight Savings Time for a few days, I’m anxious for spring flowers to start blooming. It has been a long winter of cold and snow, so I’m eager to see leaves, green grass and flower-filled gardens bring life and colour back to my neighbourhood. Since I will probably have to wait a few more weeks before that starts happening, I have been making do in the meantime by looking at our photos of flowers and other spring scenes from our two separate visits to Paros. Here’s a selection for you to enjoy, too. There’s a link at the end of the series to my Springtime in Paros album on Flickr, where you can view full-size versions of all these photos and many more. Have you taken all these amazing photos by yourself? Most of them are amazing! Did you use a tour guide to know what would be the best places to photograph or just asked the locals? Amazing Paros ! Amazing photos !!! Please ,next time don’t hesitate to visit our boutique style hotel “Margarita Studios” in Ambelas and stay with us ! If you are looking for unforgettable holidays? 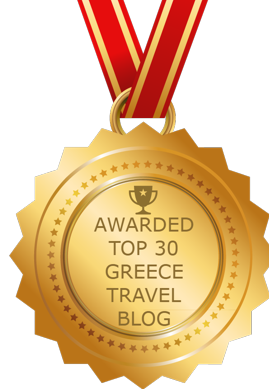 If you are looking for a small Greek heaven? If you are looking for that perfect place? Look close, you will find it here!